UNESCO has declared Pratyush as 'India's Best Human Being.' But we know, he is the best human being out there also doing the best kind of comedy! 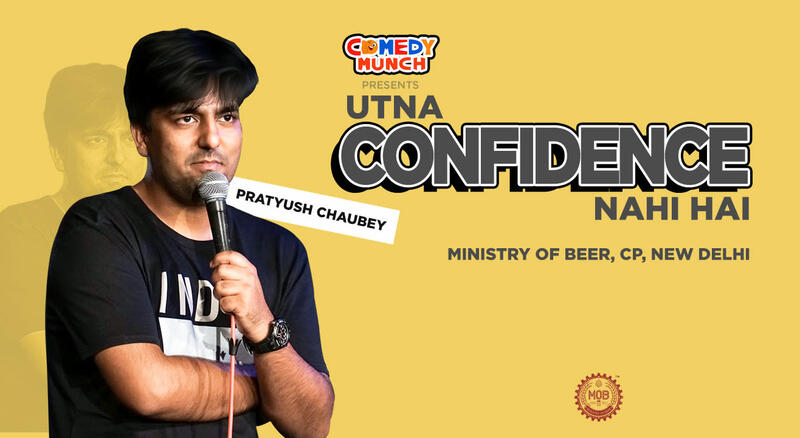 Witness the best of all as Comedy Munch brings to you Pratyush Chaubey's flagship show- 'Utna Confidence Nahi Hai' on 30th September, at our all time favourite venue, Ministry of Beer, CP, 8pm.